In Lisbon from 9-11 May people will come together from around the world to participate in the Creative Commons Global Summit. The gathering is a chance for for CC network members, digital rights activists, open content creators, and commons advocates to meet together, share information, and collaborate on projects. 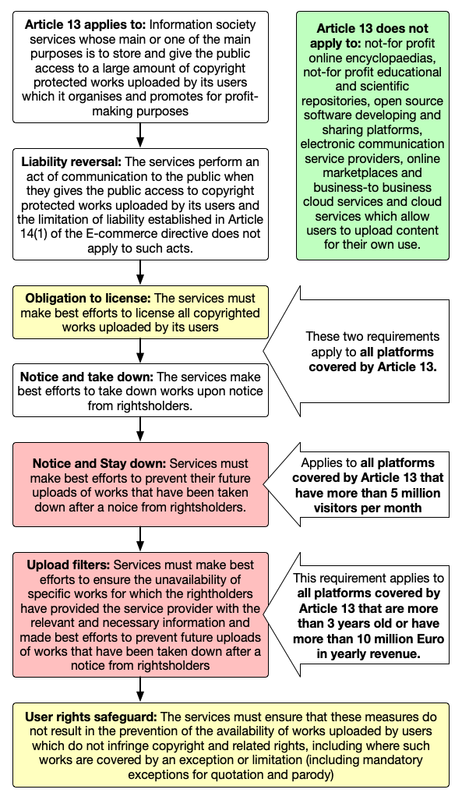 Communia’s bread and butter over the last several years has been advocating for a progressive copyright reform in Europe that will protect users rights and improve the legal situation for both creators and institutions that want to share in the digital age. After 30 months of working on the reform package, at the end of March the European Parliament voted in favor of the Directive on Copyright in the Digital Single Market. Last week the EU council approved it as well, sealing the deal. Soon the directive will be published in the Official Journal of the European Union. From the date of publication, the Member States of the EU will have two years to implement the provisions contained in the directive into their national laws. As civil society organisations who’ve been working on the copyright directive re-group to adjust for the opportunities and requirements of the transposition phase at the Member State level, the Creative Commons Summit can provide a timely and useful venue to discuss how CC members and advocates in Europe could work together to ensure that the national implementations do the least harm to user rights and maximise the potential benefits for the commons. There are several sessions that will explore this and related topics around supporting productive copyright reforms. Here’s just a quick preview of some of the sessions we’re interested in, contributing to, or helping lead. Click through for more information, and if you’ll be in Lisbon please join us at these events. How to win the (c) wars? Despite compelling evidence on the overwhelming evidence supporting fair and flexible copyright exceptions, fair use or its equivalent is politically toxic to many governments. What can we learn from recent failures/obstacles? What do we need to do better? The first part of the session will be an overview of recent policy proposals around the world that seek to mandate online intermediaries to filter content for copyright infringement. The second will be a hands-on look at the filtering systems currently deployed by major web platforms. In understanding the limitations of these tools, we can improve the debate around their use, particularly as lawmakers consider proposals to require web platforms to filter. 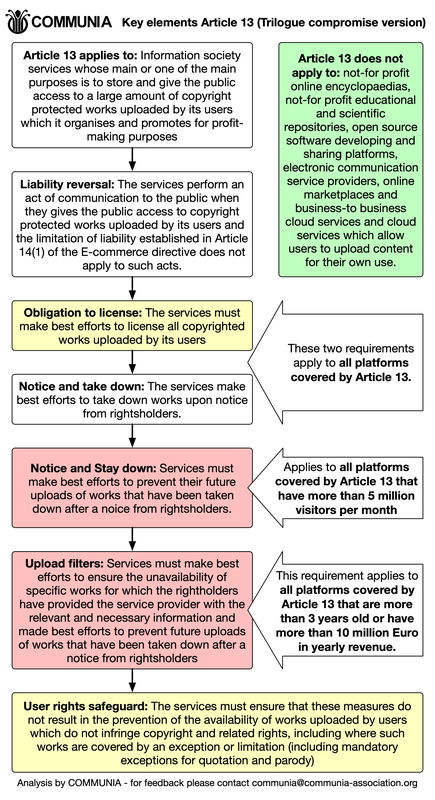 Copyright law is central to three activities for CC advocates: (1) explaining the function of the licenses themselves and (2) advocating for laws and policies that support the creation of openly licensed materials, and (3) arguing for copyright flexibilities and copyright law reform. However, copyright education and policy advocacy can seem technical and separate from many users and creators core interests. This workshop brings together CC members who have worked to build coalitions around copyright or open policy advocacy topics and discuss successes and failures in public copyright education. With the EU copyright reform, many of the thriving businesses that have emerged in Europe over the past 20 years might be negatively affected and many may not even survive. It is now crucial to keep the discussion active and bring these business together so they understand the power they still have to (help) revert these recent political decisions and continue to promote a more open and sustainable business culture, more aligned with the technological progress and social challenges we are facing today (namely, in terms of labor). Panel members will include current participants in the World Intellectual Property Organization Standing Committee on Copyright and Related Rights. We will discuss the current plans for work of the Standing Committee on Copyright and Related Rights – including regional meetings in Asia, Africa and Latin America — and how chapters can get involved. The opening lecture (“5 Years of EU Copyright Reform – The Good, the Bad and the Ugly”) will trace the copyright reform process back from its origins in 2014 until its conclusion earlier this year and evaluate the impact of the various measures adopted. It will evaluate where we have made progress, were we have suffered defeats and why we have ended up where we have ended up. This session draws on the experiences of COMMUNIA’s five year long involvement in the copyright reform process. In the second part representatives from organisations promoting access to knowledge that have been closely engaged in the European copyright reform over the past years will discuss ways to positively influence the national implementations of the directive. This workshop will provide an opportunity for anyone interested in working on the implementation on the national levels to join this effort and to discuss strategy and the opportunities offered by the implementation on the national level. At previous summits we’ve worked on sharing information about copyright reform opportunities, wrote the rationale for the platform, and updated our goals and objectives with broad input from the community. This year we’d like to focus on bringing people together to dig into the development of collaborative projects in service of the platform goals and objectives. Tired of apocalyptic scenarios and Black Mirror episodes? Then join us to work backwards from imagining better futures, in which internet is for the people. Let’s kick things off with stating the futures we want and then we will plan ways of getting there. In order to have time for in-depth discussions we will brainstorm, speculate and sketch ideas in small groups. There will be several opportunities to share back and discuss with the whole group. The roundtable will discuss the possibility of developing a framework for digital policies that is based around such concepts as the commons, decentralisation, self-determination and public provision of goods. As a starting point, we will take the experience of our project “Reframe Digital Europe”, in which we have designed such a framework for digital policymaking in Europe. We believe that an alternative, high-level frame is needed to move us away from the market orthodoxy that dominates much of policy debates – not just in Europe, but all over the world. In July 2018, Wikimedia movement launched 9 working groups that have been tasked with developing a strategy for the next 12 years. Advocacy is probably one of the topics that go the most beyond the movement itself and that touch on achieving change benefitting literally everyone. But is is possible to have a strategy that encompasses contexts that are open to citizen voice and those that are not? Can the variety of political and non-political methods form a cohesive tactics? Are we ready to charge free knowledge with the potential to change the world?